After sending emails, you may use this function to print Email Report. 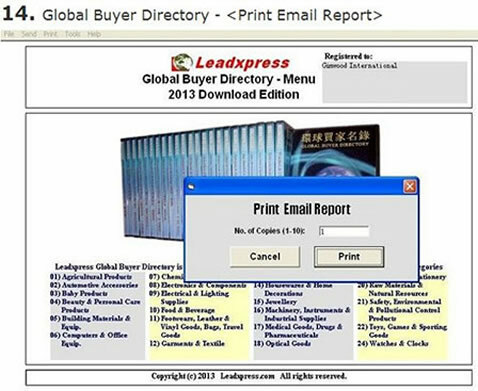 Besides, you may also print Efax Report, Unsent Email Report, Unsent Efax Report, and Email Log Report, etc. You may use this option to add some email addresses to the (Block List) (or Supression List). 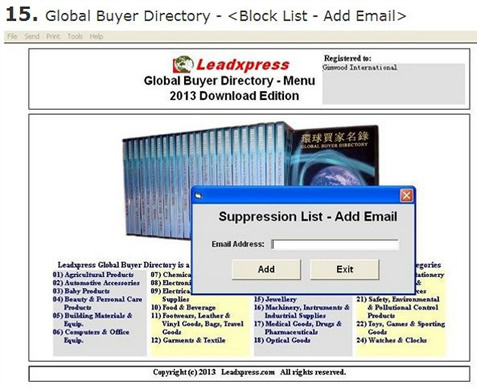 The email addresses added to the block list will not be sent upon email sending. Generally, you use this option if the recipient requests to remove her email address from the mailing list. The maximum limit is 500. You may delete the email address from the block list by using (Block List - Remove Email) option if you have accidently added an email to the block list.